This month we’ve teamed up with Macphun - a developer of award-winning photo software Intensify, FX Photo Studio or Noiseless. Check out their photography bundle for Mac OS and Windows, which includes more than 700 editing tools, presets and filters, 40+ photo guides, e-books and videos as well as 12 powerful photo editing software including Flame Painter 3 Pro. 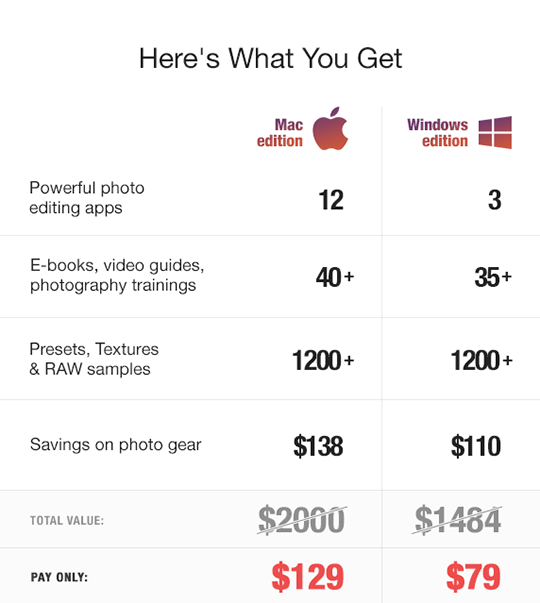 Learn more about Mac OS bundle here. Do you have a PC? There is a Photography bundle for Windows as well! Learn more. Grab it while it lasts! The bundle is available until May 31st.